Grief is a natural response to a significant loss. Coming to terms with the death of someone special to us is never easy, no matter what stage their life has reached as each person will experience grief in their own way. When someone close to us dies you may feel shock, disbelief, numbness, sadness, anger or loneliness. It may seem like everything has been turned upside down. The following are some common stages of grief, but may not be experienced in any particular order. When someone close to you has died, it is normal to feel a sense of shock. Someone experiencing loss is temporarily stunned and often left in disbelief. This is a natural reaction because you are not ready to accept their death. But shock wears off. Soon a person must face up to the reality of the death with all its emotions: they must try and regain control of themselves and begin to make decisions. One must confront, analyse and deal with their emotions. Letting go of your emotions and expressing your feelings aids the healing process. It is normal for you to want to cry, shout, be angry, reminisce and share memories. It is all part of the grieving process. Depression and loneliness can be a normal part of grief. They affect us all but in varying degrees. As the full impact of reality is grasped and there's no viable way of resolving the loss, the mind preserves its energy by becoming depressed. It is important to share your feelings and let people know how much you are hurting. Prolonged isolation and depression is unhealthy and should be discussed with a medical practitioner or counsellor to help you move forward. It is common to blame yourself or others for the death of your loved one. 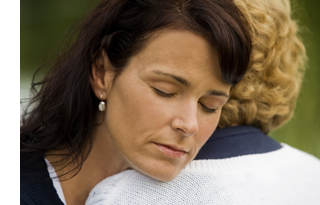 Almost everyone experiences some feeling of guilt during the grieving process. These feelings are normal but you shouldn't feel responsible for something that is out of your control. It is normal for you to experience resentment, hostility and anger as these are not uncommon feelings for a person working through the grieving process. It is important not to bottle up your anger, but rather talk to someone you can trust and who you feel comfortable with in discussing the death and how you are feeling. You may experience certain physical symptoms during your course of grieving. For example sleep disturbances, headaches, low-energy and poor appetite. These are all common symptoms a person may experience. Grief is a process not a state as it's something that takes time to work through as each individual reacts differently and it is normal to experience many of these emotions. The time it takes will depend on your personal ability to effectively deal with your loss and your willingness to accept and move forward. It is a privilege for our caring staff to help people at a most vulnerable time of grieving someone they have lost to death. Our staff do not purport to be grief experts, but we have learnt many lessons along the way and continue to do so. If you are in need of extra support, when requested we can recommend to you professional counsellors and support groups in your local area who are there to help you through this difficult journey.